"We are very concerned that a single country is threatening to hold up adoption of the IPCC Special Report if scientific findings are not changed or deleted according to its demands." How cute is this, eh? Adorable. As a Climate Skeptic, I find this amusing. Let the games begin. "This has become a battle between Saudi Arabia, a rich oil producer, and small island states threatened with extinction," said one of the "sources". Sounds like something my teenage daughter would say. So dramatic. I thought it was interesting to note that the report in question is about 500 pages long. Raise your hand if you think any single person read it. But of course it's dramatic! Except for the Seychelles, as we recently discovered. Still. Saudi Arabia sure seems to be blinking a lot lately. Oil giant Saudi Arabia backed down at the last minute Saturday from obstructing the adoption of a major report by the UN's climate science panel, sources told AFP. With the threat removed, the meeting of the 195-nation panel in Incheon, South Korea—deep into overtime—swiftly approved the report on how to cap global warming at 1.5 degrees Celsius (2.7 degrees Fahrenheit), and what a 1.5C world might look like. The Saudis had objected to the inclusion of a passage emphasising the need for sharp reductions in the use of fossil fuels—Saudi Arabia's main export. "Saudi Arabia withdrew its blockage of the passage when their objection was about to be formally recorded in a footnote," said a participant in the meeting. "It was a game of chicken, and the Saudi's blinked first." How nuanced are you as a "Climatic Skeptic"? Our naval base at Norfolk, VA is having increasingly severe problems with rising sea levels. As water warms it takes up a larger volume. 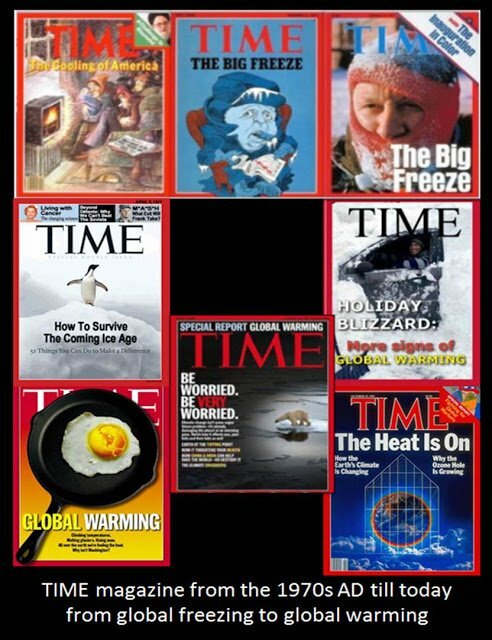 In a nutshell, my general view as a so-called "Climate Skeptic" is that climate does indeed change over time. But I remain skeptical that humans are a significant factor / the primary factor in naturally occuring climate change cycles over the millennia. Climate has gone up and down over the millennia without being attributed to human factors. I tend to view the Carbon Tax as a fraudulent money-making scheme. CO2 is generally not toxic (unless levels are so high that there is no oxygen remaining). How nuanced are you as a "Climatic Non-skeptic"? Last time I checked, the world has been warming ever since...I don't know...let's just round it to the last ice age. Also, the oceans have been rising...I don't know...let's just round it to the time when the Roman and Greek and Egyptian cities were flooded under the waters of the Mediterranean Sea. So my question for you, Janet, is what has been causing global warming since the time of the Romans and the neanderthals. Since I am fairly certain that neither of those two groups had a very large access to commercially manufactured CO2-producing automobiles, I am quite interested to see why you think we should deal trillions of dollars to damage to the world economy though climate pseudo-science when we literally have tens of thousands of years of scientific and scholarly data which suggests the contrary. I'm getting fed up with with these vicarious embarrassment attacks I've been suffering lately. Come on, people, think a little! They're like a toddler who covers her eyes and thinks nobody can see her because she can't see anybody. Really, grow up a little. I get embarrassed by other people's blatant stupidity. It's silly, I know, but I can't help it. Woe is me. Amazingly, the term stupidityocity returns zero exact Google search results. As a logophile, I hope that gives you a chuckle. "...either a Nobel Prize winner for Stupidity," or..." Or what? What? I did have a good chuckle, yes. Thank you! Stockholm, Sweden - The Nobel Committee today awarded the Nobel Prize for Stupidity. This is a brand new, “one-time only” category, said Committee member Sven Pjenlonken. And, the awarding of this special prize, which carries no monetary value, personal diploma, or medal, is being handled in a most unusual way. The Nobel Committee is asking “citizens at large“ around the globe to help notify the winners of this Nobel Prize. The process will be quite simple, actually. All you need to do, if you suspect a person to be “good AND stupid,“ (i.e., stupid enough to qualify for this award), then all you have to do is quickly test that person by asking her or him to repeat, “How much wood could a woodchuck chuck, if a woodchuck could chuck wood?” The next step will be determined by the results of the test. If the person does, indeed, make the statement, because you told her or him to do so, that person is, in fact, stupid. If the person gets confused, that person is, you guessed it, stupid. If the person can’t say the words without messing them up, then that person is stupid. If you help the person make the statement, then YOU, too, are stupid. If the person tells you to “stuff it,” “go squat on a fire plug,” or some other colorful phrase, then the person, most certainly, is NOT stupid. 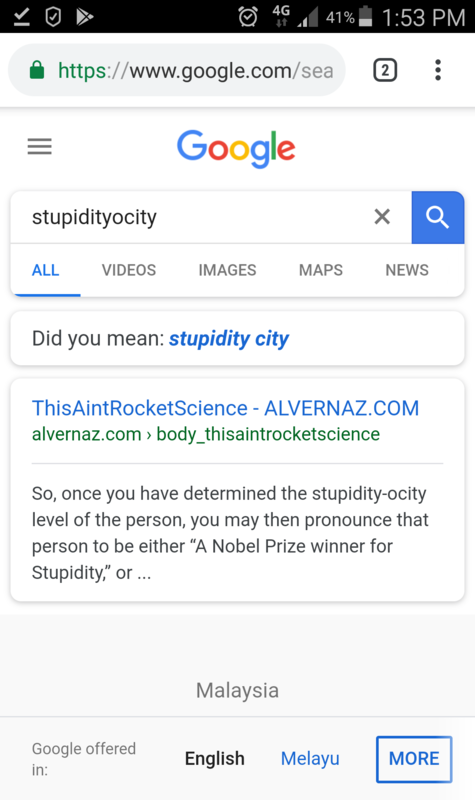 So, once you have determined the stupidity-ocity level of the person, you may then pronounce that person to be either “A Nobel Prize winner for Stupidity,” or NOT a winner, which, in this case, would probably be a good thing, depending on the person’s intellect! NOTE: There will be no need to notify the Nobel Prize Committee either way of your findings (or lack thereof, be that as it may, wheretofore, whence, and wheretoo).